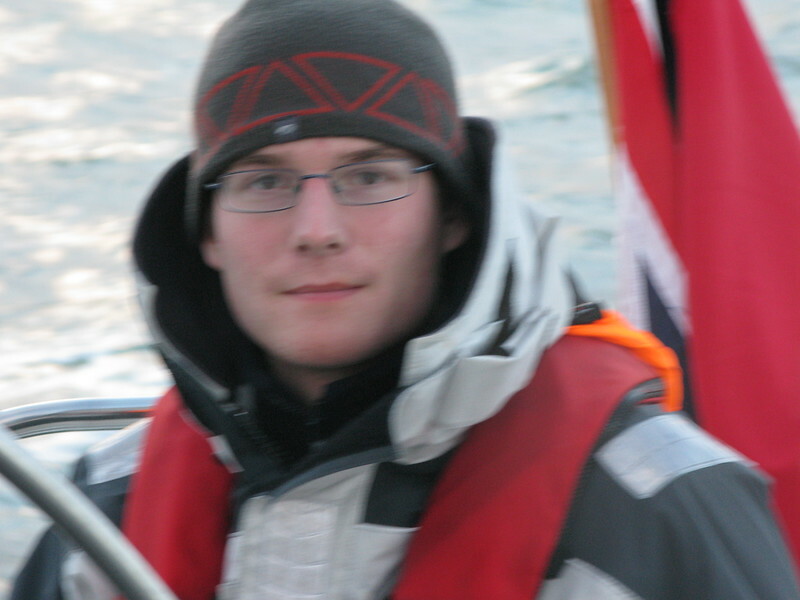 Sailing from La Rochelle, France to river Hamble United Kingdom late November 2010. Neil Armstrong, crew from PYD. Neil help us sailing Maud home from La Rocelle, France.